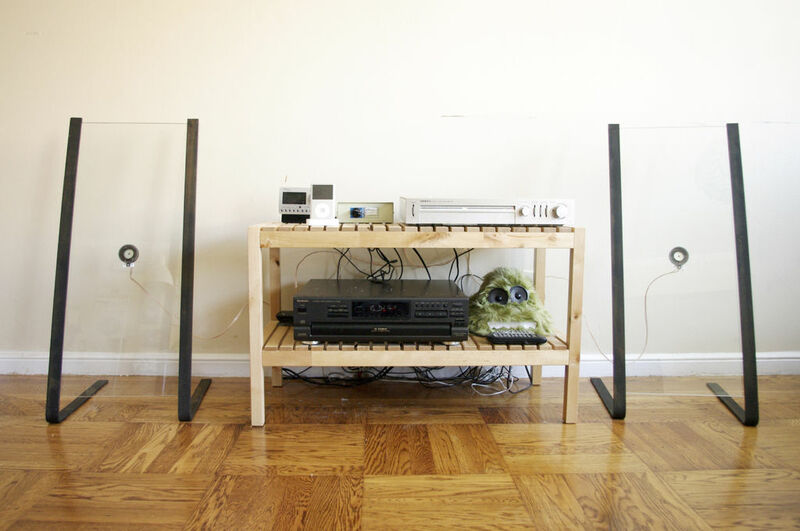 Here’s a different kind of DIY with glass. Today it’s about speakers. Yeah, speakers, for your stereo. They’re pretty cool looking. And appears fairly simple to make. The creator of this DIY is by Randolfo and it’s brought to you by Instructables . Thanks Randolfo. He’s told the story through a poem. Pretty amusing. You will have to buy things and you may need to know how to weld or know someone that can do it for you. It does really help for this project for you to have access to metal working tools…but don’t those speakers look cool?